At Hobbs Madison, Inc. we believe in forging a successful partnership between business leaders and their IT partners; we believe that successful companies leverage existing IT platforms to their fullest while positioning themselves to take advantage of emerging solutions and marketplace trends; we believe that companies must be able to successfully convert acquisitions while concurrently improving product capabilities and organizational competitiveness. Our distinctive competence is a unique ability to apply both technical and management expertise to our analysis of client problems and opportunities. This expertise has developed from extensive prior experience in dealing with domestic and international issues requiring knowledge of financial industry technologies, operations, and processes. Leadership – Our people are senior financial industry technology leaders who have considerable experience with domestic and international banking institutions, insurance companies, and investor services firms. Financial Industry Specialization – We provide a detailed understanding of the needs of the financial services industry. Our consultants have led a broad range of high-profile engagements for global financial services institutions. Speed – Our methodology builds momentum and consensus to achieve results quickly. We combine a tightly integrated methodology with highly seasoned staff to move your organization forward. In addition to the work that we do and the clients that we serve, Hobbs Madison can also be defined by its people. Our people have a unique balance of technical, business, and communication skills, and bring strong consulting experience to each engagement. Our enthusiasm and results-orientation ensures that each client has an extremely positive experience. Our staff members are a unique and valuable resource for our clients. Professional staff members typically have graduate-level university training in finance and technology, as well as at least fifteen years of financial services industry and technology consulting experience. Because the creative and informed judgments required by our clients must often be gleaned from information that is limited or difficult to obtain, our staff members have developed superior information gathering techniques and creative analytic approaches. Hobbs Madison, Inc. was founded by Dale Hobbs and Gary Madison in 2002. As a result of his extensive experience, technology innovations and consistently high ROI projects, Hobbs was frequently approached by banks and other financial institutions to provide consulting services. 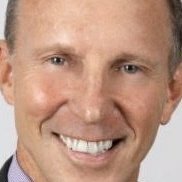 By the time the firm was founded, Gary Madison had been a strategy consultant for most of his career, first at A.T. Kearney and later at Gartner, Inc. While Hobbs’ expertise was in the technology requirements of financial institutions, Madison’s expertise was in understanding the operational requirements of organizations, particularly from an IT perspective. Hobbs and Madison therefore brought separate, complementary skills and experience to the partnership. Realizing that they could leverage each other’s capabilities and cross-sell expertise to their respective clients, they established Hobbs Madison, Inc. in 2002. As the firm grew, the founders realized that they needed additional staff to execute PS projects, to leverage the principals’ time and free them up to find new projects. Hobbs Madison began to enhance its staff exclusively with tenured, technology-oriented veterans of the financial services industry, maintaining its focus on the banking and investment management verticals. Every year the founders have enhanced their business model, starting initially as a strategy consulting firm, then adding delivery capabilities, and then developing a recruiting function to fulfill project requirements. The model continues to evolve as the founders observe other models in the market, understand the changing needs of their clients and find better, more effective ways to deliver world-class advice. Hobbs Madison has established a reputation among its clients as one of the leading Strategy and IT Consultants in the U.S. for the financial services industry. 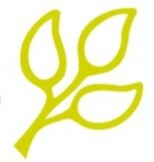 Dale Hobbs is a founding partner of Hobbs Madison, Inc. He specializes in strategic planning and technology development for clients in the commercial banking and wealth / investment management and insurance industries. He has over 25 years of experience in business & technology strategy for some of the largest financial services institutions in North America. Dale has led various practice areas in the firm, is a creative force and the Chief Innovator. Prior to starting Hobbs Madison, he worked at two banks purchased by Bank of America (they really wanted him bad!) most recently as the Senior Vice President of Retail Delivery Technology at FleetBoston. Mr. Hobbs headed up the platform and teller business/systems group, the Advanced Solutions Team and Intranet development for the retail bank. Prior to joining Fleet, Dale led the Direct Banking Systems group at Barnett Bank (now Bank of America). He was responsible for building one of the nation’s first full service call center solutions that provided sales and service capabilities along with computer telephony integration to over 600 telephone agents in three sites. He also managed the platform, teller and CIS business and development teams. Dale has a master’s degree in business administration from the University of North Florida, and a bachelor’s degree in business administration specializing in Computer Science from the University of South Florida. Dale lives in Sarasota Florida where his modest skills in photography have already been surpassed by his daughter and his skills in technology have been quickly passed by his teenage son. Gary specializes in business and technology strategic planning and design for clients in the global financial services industry. He has over 25 years of experience in strategy development for global financial institutions based throughout North America, Europe, and Asia. Gary is passionate about creating innovative new strategies and plans to drive client sales and retention, reduce costs, and increase client and associate satisfaction. 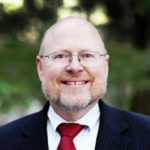 Prior to co-founding Hobbs Madison, Gary served as Vice President of Consulting for Gartner, where he managed the development of global business strategies, technology plans, and strategic application architecture designs for large institutional clients. He also served for a number of years with AT Kearney in North America and Asia, where he led large scale business and technology strategy programs to help clients enter new markets, drive accelerated market share, and reduce enterprise costs. He has a master’s degree in business administration from the University of Pennsylvania’s Wharton School of Business, and a bachelor’s degree from Tufts University. Gary lives in Harvard, Massachusetts with his wife and twin boys. He and his sons enjoy kayaking, skiing, and mountaineering. His wife enjoys hearing about their adventures — after they are safely off the mountains. 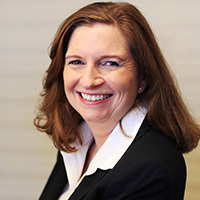 Michelle uses her over 30 years of financial services expertise as a banker, executive and vendor to work with financial services executives to develop and execute key business and technology strategies. She has worked with clients throughout the world to create innovative strategic solutions that focus on the customer while generating revenue, improving processes and reducing operating costs. Michelle’s track record of creating executable strategies with task oriented plans have resulted in measurable sales revenue, hard dollar cost reduction, significant customer retention improvement, and improved employee satisfaction. Prior to joining Hobbs Madison, Michelle served in a variety of senior level financial services vendor positions and commercial and consumer banking roles. 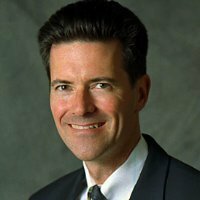 Ed Barron is a Vice President and Client Executive for Hobbs Madison with over 25 years of successful experience providing Business Development and Relationship Management within the Technology, Banking, Insurance, and Investment Management Industries. He focuses on providing strategic business and technology based solutions delivering increased sales revenue, process improvement and cost savings to large organizations. Ed’s specialty is helping clients be successful and is he responsible for the management of existing business within large clients and the development, negotiation and closure of new business focused on consulting and managed services to large financial services organizations. Ed has a strong technical and business background and is known in the industry for outstanding client advocacy, strong communication and expectation setting skills and highly successful projects. Ed has won many customer recognition and company top performance awards in support of his clients. Robert Henley is a Vice President specializing in business development for clients in the global financial services industry. He is nationally recognized for his work over the last 25 years with large scale financial institutions on developing new opportunities in business and technology strategy, architecture and design. 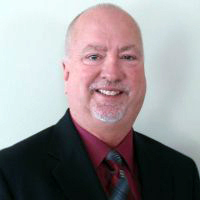 Mr. Henley was previously Director of Branch and Call Center Solutions at S1 Corporation. He also served as Vice President of Sales at Fidelity Information Systems, Siebel, and Argo. Mr. Henley has bachelor’s degree in business from the University of South Mississippi, and has completed post graduate work at Lindenwood University. As a Client Executive for Hobbs Madison, Peter brings to bear over 30 years of experience in Financial Services technology, consulting, relationship management and business development. Peter served for over 25 years at State Street Bank reaching the level of Sr. VP. 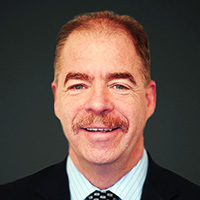 For a number of those years he was instrumental in the spin-off of Boston Financial Data Services, serving as President and CEO for their Canadian operations. On the professional services side, Peter was a Managing Director with Beacon Consulting Group and Vice President with PwC Consulting Services. Peter is the rare Account Executive who can really say he’s walked in his client’s shoes. Peter is an alum of Northwestern University near Chicago. Lauren Boretti is the Director of Administration for Hobbs Madison. She has over 22 years of experience in corporate accounting and administration. She joined Hobbs Madison in 2005 as a staff accountant, and has quickly risen as the company has grown significantly. As Director of Administration, Lauren manages the general ledger, corporate payroll, accounts receivable and payable, expense processing and reimbursement, and 401k administration. She is highly regarded by the Hobbs Madison team for her ability to rapidly scale the administrative functions of the company nationwide. Lauren currently supports business teams in 27 states across the East Coast, Midwest, and West Coast. Lauren has a Bachelor of Science degree in Business Administration from the Whittemore School of Business and Economics at the University of New Hampshire. Client confidentiality agreements prevent us from mentioning them by name on our website. But, over its history, Hobbs Madison is proud to have served five of the top 20 banks and two of the country’s top five investment management firms. Fourteen of the 20 largest clients have been with us for five years or longer, and clients who have worked with Hobbs Madison for five years or more typically have retained the firm for at least 20 projects over the course of the relationship. Would you like to learn more about some of your peers who have become loyal clients of Hobbs Madison? Contact Us! Put Hobbs Madison to work for you and your business.